"A culture contrast and forbidden romance in historical China"
In this stunning portrait, Giuseppe Castiglione is chosen as painter and religious emissary from Portugal to the Emperor of China during the 1720s. He has to become a Jesuit in training, before he is allowed to sail with his young woman apprentice Laura Biondecci. Niuhuru is a young girl, only thirteen, when she is selected to join minor prince Yong's household and goes to live in THE GARDEN OF PERFECT BRIGHTNESS as his home is called. This is an estate outside the capital with many servants, wives and eunuchs. While Niuhuru is technically a wife with her own house, she is fortunate to have a tolerant husband who waits for her to mature before requiring intimacy. Meanwhile, she gets to know the artist from abroad who has been summoned to paint the Garden of Perfect Brightness. With a brightly coloured embroidery of emperors, jealous wives, loyal servants, frightened servants, children and soldiers, this tale brings the courtly life of China to our fascinated gaze. Poisons, illness and politics all sour the beautiful images, while the life inside the Forbidden Palace is presented as stifling and artificial by contrast with the estate. Giuseppe and Laura round off the tale with their culture contrast, dismayed that the Chinese don't want to see chiaroscuro but half seduced by the exciting surroundings. Author Melissa Addey tells us at the end what the actual history books say about her characters, and how she made the personal relationships strengthen her story. She is a Resident Writer at the British Library, writes fiction and non-fiction, and is taking a PhD in Creative Writing at the University of Surrey. 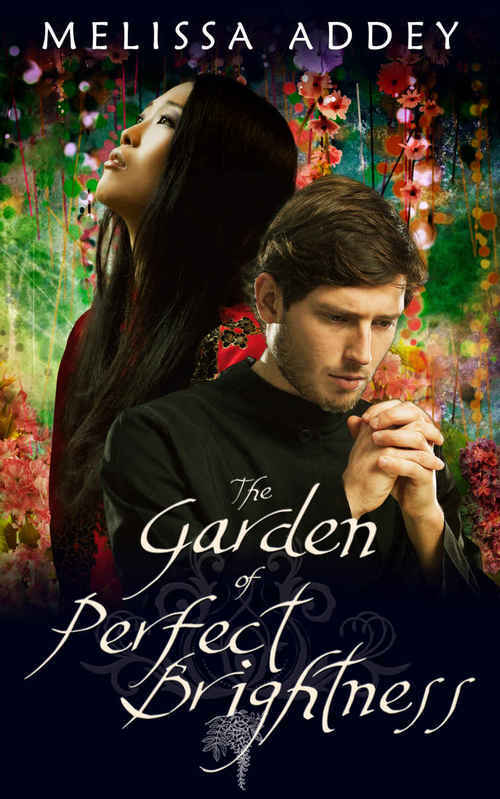 THE GARDEN OF PERFECT BRIGHTNESS is part of her series called 'The Forbidden City' and she has created another series about 'The Moorish Empire', in case you can't get enough of her historical romances. The most beautiful garden in the world. The man who built it. The woman who had to leave it. China, 1720s. Giuseppe Castiglione, a promising and ambitious Italian painter, is recruited by the Jesuits to serve the Emperor of China. But his painting style is rejected as inauspicious. Meanwhile, Niuhuru, a grey-eyed, too-tall girl is chosen as a concubine to a minor prince and sent to live in the Garden of Perfect Brightness, where Giuseppe meets her when he is tasked with turning the Garden into a wonderland for the Qianlong Emperor. But as the Garden changes and Niuhuru is swept upwards to ever-greater importance, is something precious being lost? And will either of them ever be able to admit to their true feelings for one another?